Ricardo Bones was born on April 7th 1969 in Guyama, Puerto Rico. The five foot ten, right handed pitcher was originally signed as an amateur free agent by the San Diego Padres in 1986. Bones arrived in the big leagues by 1991 with the Padres going 4-6 in 11 starts posting a 4.83 ERA. The next year he was involved in a big trade that sent him & Jose Valentin to the Milwaukee Brewers for Gary Sheffield. Bones spent parts of five seasons in Milwaukee winning ten games or more for three straight seasons 1993-1995. 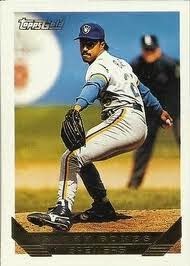 In 1994 he was 10-9, positing a 3.43 ERA (8th in the AL) & was the Brewers representative in that years All Star Game. Unfortunately he was .500 or under in two of those years. In 1996 he was the player to be named later in a deal to the AL New York club where he pitched in just four games. The journeyman pitcher went to the Cincinnati Reds (1997) Kansas City Royals (1997-1998) Baltimore Orioles (1999) & Florida Marlins (2000-2001). In his 11 year career he was 63-82 with one save, 564 strike outs 464 walks in 1278 innings pitched in 375 games (164 starts). He never saw action in the post season. Retirement: Bones began his coaching career with the Montreal Expos moving to Washington with the franchise as the Nationals. 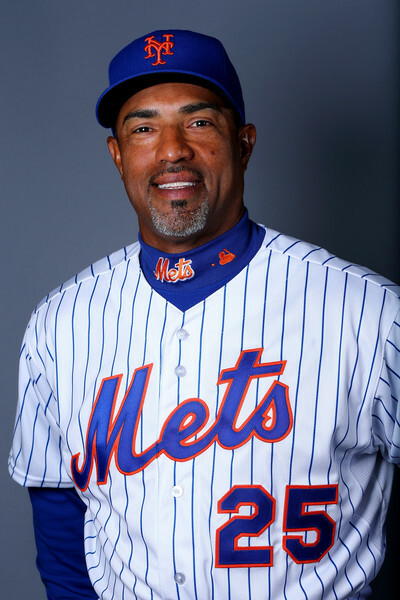 Since 2006 he has spent his years coaching in the New York Mets organization. In 2006 Bones was pitching coach for the A ball St. Lucie Mets helping them win a Florida State League Championship. 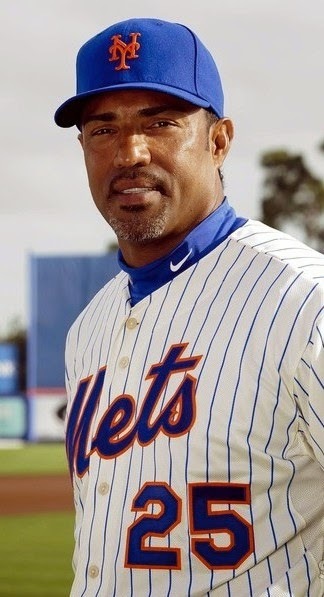 In 2007-2008 he was the Mets AA Binghamton pitching coach. From 2009-2011 he was moved up to the AAA Buffalo Bisons of the International League. In October of 2011 he was named the Mets bullpen coach & is going into his eighth year at that position. Bones can usually be seen warming up relief pitchers in the Mets bullpen during the middle to late innings.